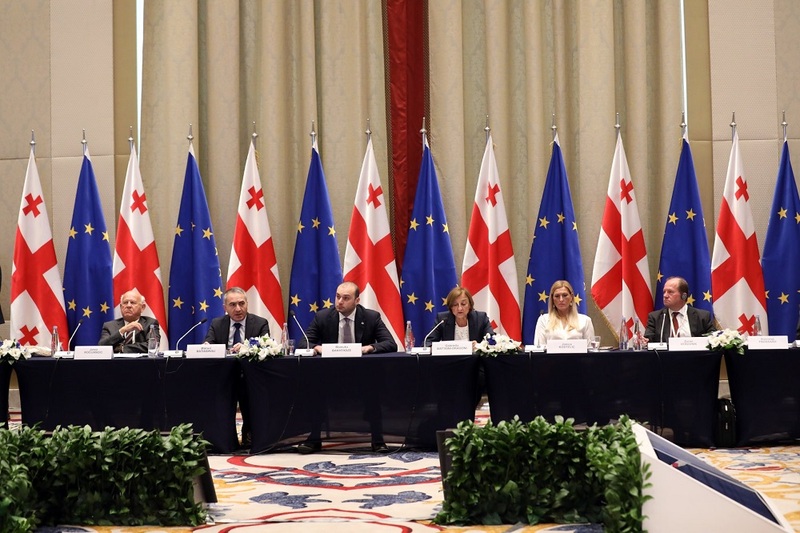 Within the framework of the Ministerial, Tbilisi is hosting the members of High Council of Europe the Deputy Secretary General of the Council of Europe - Gabriela Batini-Dragoni, as well as the high officials responsible for executing sports competitions and heads of international sports and non-governmental organizations. Representatives of diplomatic corps, executive and legislative officials accredited in Georgia also took part in the Ministerial. Mikheil Batiashvili – the Minister of Education, Science, Culture and Sport of Georgia considers that the Council of Europe's Sports Ministerial is a major step forward because it allows the country to contribute to deepening of common European cooperation. In the Minister's opinion, today the world has a serious challenge to fight against violence, racism, discrimination, doping, and corruption, and therefore this Ministerial is an excellent opportunity to fully address the problems in this field. He is convinced that the desired results are achieved through active involvement of the honorable guests, delegates and experts. The Ministerial is held once in two years and aims to give a new impetus for common European cooperation and to respond to challenges in the field of sports. Participants of the Ministerial will discuss specific aspects of cooperation between the countries and fight against corruption in sports. The agenda includes two key issues: protection of human rights in sports and fight against corruption in sport. At the same time, two resolutions will be adopted: 1. Fight against corruption in the field of sports: and strengthening its measures, 2. Human rights protection in sports, liabilities and common responsibilities. The Ministerial is organized by the Council of Europe, EPAS and the Ministry of Education, Science, Culture and Sport of Georgia.